We’re real people – not robots! You’ll receive a personalised quote tailored to you and your group, helping you to make the most of your trip. We have spent years building a special relationship with our rental partner, Arnold Clark, allowing us to offer you lower prices than going direct. Life’s all about the journey. Explore Scotland, England and Wales knowing you have unlimited mileage on all rentals with no distance restrictions. Unlike most car hire firms, you can include up to four drivers aged 25 and over on your rental at no additional cost. With 22 branches across Scotland and another 17 located in England, our suppliers Arnold Clark, are the largest independent rental car company in Europe. Pick up and drop off at airports in Glasgow, Edinburgh, Prestwick (near Glasgow), Inverness, Aberdeen, Dundee and Manchester. There is a GBP10 security charge for picking up and/or dropping off at an Airport location. This is only charged once and will be included in your quote. Celtic Legend offers the most competitive rates for car rental in Scotland and England. With 22 branches across Scotland and another 17 in England, our suppliers, Arnold Clark, are the largest independent rental car company in Europe and the only car rental company in Scotland offering unlimited mileage on all rentals. 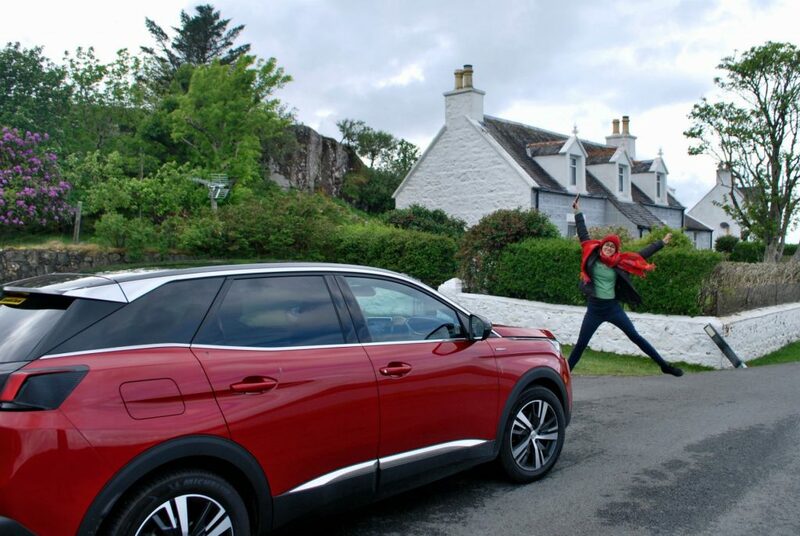 Our vehicles are sourced from Scotland’s largest independent car rental fleet of more than 9,000 vehicles. The fleet is normally renewed every 3 to 6 months and we can supply virtually any type of vehicle. We are a Scottish owned family business. All rental enquiries are responded to personally rather than via an automated form. We can supply highly experienced driver guides, if you would prefer not to drive yourself and we are always happy to help prepare itineraries, book hotels & ferries to make sure your trip runs smoothly. View our Cars & Price Guide for more information on the types of hire cars available and their prices. Drivers aged 23 and 24 years are subject to a £25 per day additional charge. Picking up and dropping off your rental car at different branches incurs a charge, unless they are in the same city. The charge is dependent on the type of car booked and will be included in your quote. 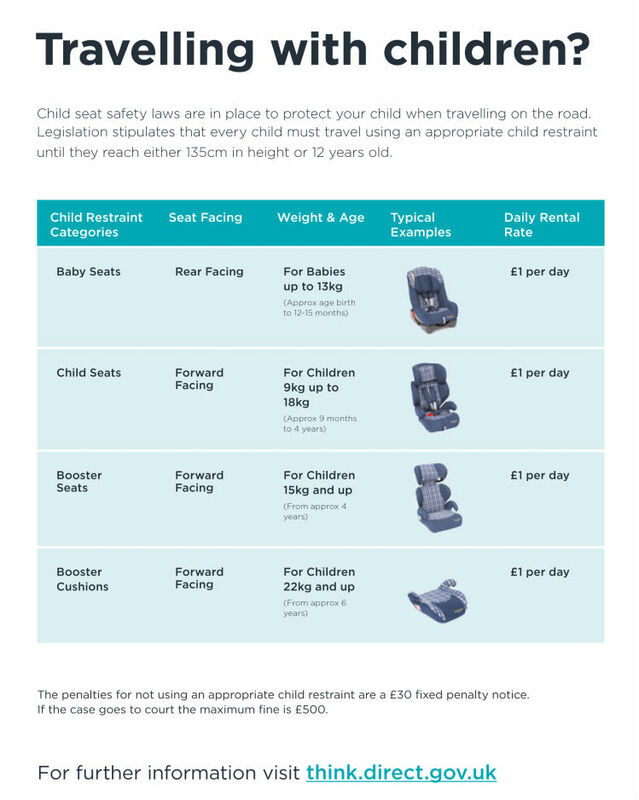 Under European law all children must travel using an appropriate child restraint until they reach either 135 cm/ 4ft 5in tall or 12 years old. Baby or child seats can be hired from £1 per day per car seat. Payment is NOT normally required in advance and can only be made when you pick up your car by credit or some debit cards. No car rental company in Scotland will accept a cash payment. You will need your driving licence and address ID (utility bill etc. for UK customers) and passport or National ID card for overseas clients. We know the price and the package we offer for car hire is pretty well unbeatable, but should you wish to shop around other car hire companies before you book with Celtic Legend, please don’t forget to add in all the charges which come as extras when you rent a car from other suppliers. It would also be a good idea to bookmark our site, so you can find us again to make your hire car booking. We offer not only a quality car rental, but a truly cheap car rental. Remember, if another rental company’s quote SOUNDS too good to be true, it probably IS too good to be true!